Twitter interviews or twitterviews are LIVE interviews carried out on twitter. They can be a great way to expand your twitter network and spread the word about your projects and services. They are a fun way to promote your books too. 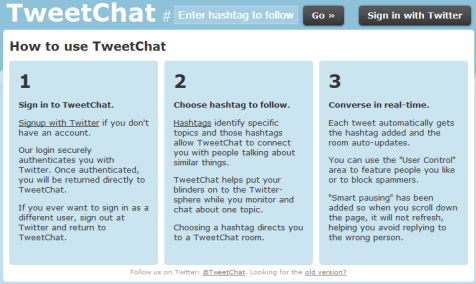 One easy way to do them is through a site like TweetChat. Just log into your twitter account, choose a hashtag for your interview and then your ready to start your LIVE interview. Simple as that. Any other site that allows you to follow selected hashtags is fine too but I like this one for it's simple layout and because it's easy to use. You can expand on your twitter interview by doing a before and after feature on your blog. This is a good way to give your blog readers something different whilst also creating a buzz for the twitter interview. 7 Steps to successful twitter interviews can be found here.